NEW YORK (WABC) -- He's a noted filmmaker, a teacher, an honorary Oscar winner, a crazy New York sports fan and now this: Spike Lee is the next grand marshal of the New York City Marathon. "I'm honored to represent New York City, the greatest city on Earth, at one of the world's most recognizable sporting events," said Lee, an iconic New York City figure who grew up in Fort Greene, Brooklyn. "When my kids were younger, on race day, we would walk outside of my 40 Acres and a Mule office right into the marathon crowd. There's such a New York sense of community around the race. It's New York City's biggest block party." Lee, 58, is known as one of his hometown's great boosters, and so it's fitting that he becomes the first New Yorker to get the title of grand marshal. He's also only the third person in the race's 45-year history to have it, race officials said, after Czech running star Emil Zatopek in 1979 and Grete Waitz of Norway - winner of a record nine titles, who died in 2011 - in 2003. "When we looked at having a grand marshal for this year's TCS New York City Marathon, we envisioned someone the world would immediately recognize as a sports enthusiast and quintessential New Yorker, and Spike was the perfect fit," said Michael Capiraso, president and CEO of the New York Road Runners, in a statement. As the 2015 TCS New York City Marathon Grand Marshal, Lee will participate in race-week festivities including the TCS New York City Marathon Opening Ceremony Presented by United Airlines, contribute to the live race broadcast on WABC-TV, Channel 7 and ESPN2, and ride with Ciaccia, the Race Director, in the Grand Marshal vehicle through the 26.2-mile marathon route on Race Day, Sunday, November 1. 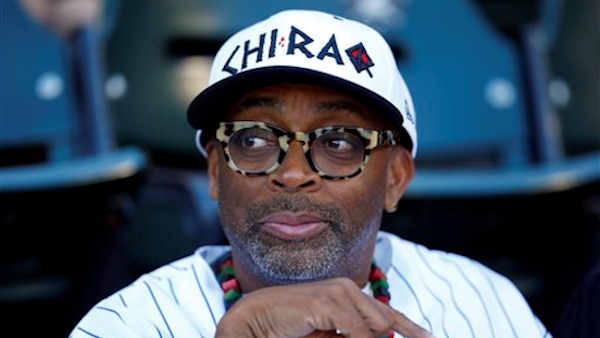 "Spike Lee's love for New York City, whether in the Sporting Arena or in the Community, is unparalleled," said Ciaccia. "As Grand Marshal, Spike will lead runners from over 125 countries and all 50 states on a one-of-a-kind tour through the neighborhoods of the five boroughs, from Staten Island to Fort Greene Brooklyn, through Queens, up Manhattan's First Avenue to the Boogie-Down Bronx and into Harlem before finishing in Central Park." Pre-race and race coverage on Sunday, November 1 is available to stream live on WATCH ABC and ESPN3 (accessible on WatchESPN platforms). Click here for all the broadcast details, including online and via mobile devices.